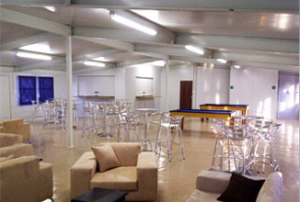 Kwikspace has been in business for over 50 years and has the largest container rental fleet in sub-Saharan Africa. 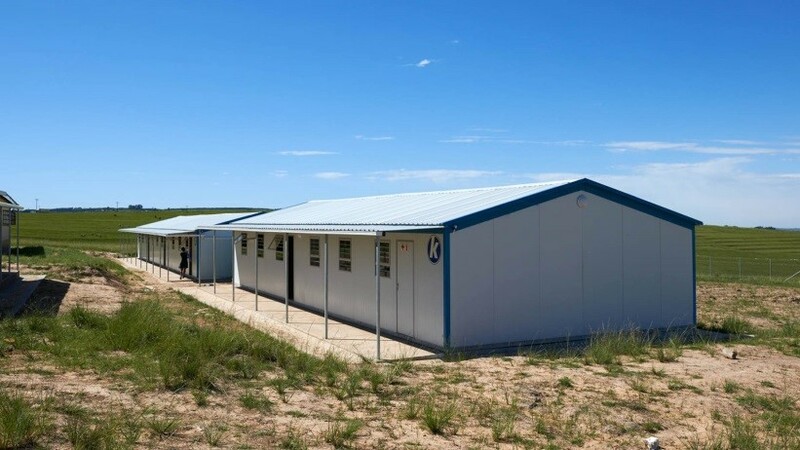 With a variety of container rentals available, we accommodate any temporary requirement for space, from mobile homes and kitchens to classrooms and clinics, to site office containers on construction or remote mining sites. With South African rental offices throughout the country and regional rental fleets in Mozambique and Zambia, Kwikspace has the capacity to supply high volumes with quick turnaround times, regardless of the scale and requirements of your container rental project. Contact Kwikspace for all your container rental requirements. Call us on 011 617 8000 or send us an enquiry! Kwikspace’s prefabricated accommodation facilities are designed, manufactured and installed to meet every client’s tailored requirements for mobile homes. Our mobile offices provide fast, flexible workspace tailored to your requirements: ideal for construction sites, remote camps and more. A convenient solution for temporary mobile ablutions, for remote sites, shutdowns, and events. Toilets, showers, change rooms can all be configured. We understand the need for fast, efficient solutions. 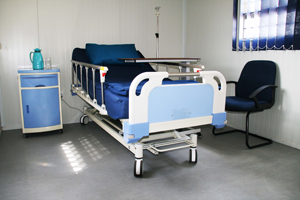 Our rapidly deployed modular buildings and park homes are highly suited for use as mobile clinics and hospital wards. Our modular and mobile classrooms rapidly deliver everything you need to provide a quality learning environment – up and running within days! 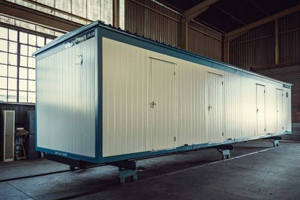 Our prefabricated mobile and modular kitchen and dining facilities are designed to your specific requirements, and can accommodate up to 1 000 personnel. 200 park homes were rented to help accommodate 20 000 people on site. The project was conducted in very short timeline for an urgent project. The rental containers included furniture, equipment and air conditioners. 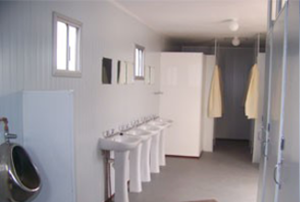 Supplied accommodation, ablutions, showers, offices and canteens for the Lion Ferrochrome Project in Mpumalanga. The Project scale and duration the capacity Kwikspace has to support large-scale rental projects. 16 classrooms, 4 ablution units and an office unit was rented after the school was burnt down. 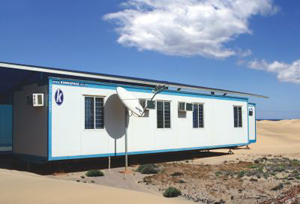 21 units were provided, covering nearly 1 000 m² and accommodating up to 20 students per structure. 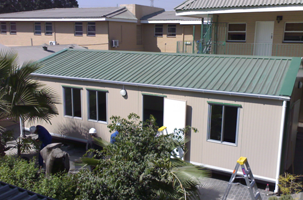 Kwikspace modular buildings can be used for virtually any accommodation requirement. 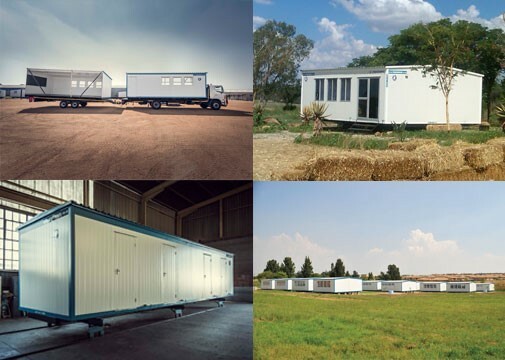 We supply a complete range of modular buildings and converted sea freight containers for fast site set-up anywhere in Africa. Speak to us about your container rental requirements!